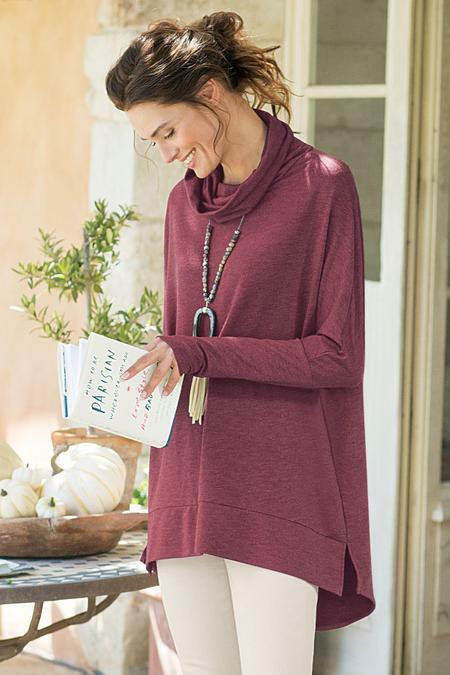 Created for comfort, our soft French terry knit tunic starts with the ease of a slouchy cowl neckline and finishes with a dropped-tail hem. Wear it with style, outside or in. Poly/rayon/ spandex. Misses 28-1/2"/35-1/2" long.